Dwight’s also a solid singer, with an expressive voice, but the strength of the album is the songs—both the songwriting and the execution. Every track sounds perfect, with each instrument and vocal line supporting the song. At the same time, the album is warm, with a live sound and an electric energy. It’s a credit to Dwight, who also produced No One Loves Me Better. “Bullets & Gasoline” is one of the album’s best tracks. It opens with a drumbeat and a slide guitar riff, with Dwight coming in to almost-rap over the drums. He’s joined on background vocals before the song explodes into a catchy chorus. A hard-rocking electric guitar solo eventually comes in, changing the energy of the song before the vocals return to finish things off. Dwight changes things up with his songwriting, too. “Sucker” is funky and soulful. His countrified voice prevents you from 100% flagging this as a true rhythm-and-blues track, as does the aggressive chorus, but the point of the song isn’t to trick the listener. But if Dwight decided to take things in a permanent rhythm and blues direction, he’s like 80% there. It’s a very cool, contemporary song, and yet another example of how well-produced the songs here are. Dwight’s vocals can be percussive, which is the common thread between a country song like “Bullets” and a soul track like “Sucker.” It also allows him to use his lyrics as an additional layer of rhythm, like on “White Powder,” a song about cocaine. It’s an acoustic song built around a slide guitar riff and gradually expands. It features descending vocal lines like “He was prone to sin / so down he went / the devil said ‘come on in’ / He never thought twice” that are not just lyrics, but also tools of syncopation. No One Loves Me Better rocks hard in a country way. Even the album’s slowest track, the acoustic “Trial of a Poet,” growls with electricity. I’m not a big country fan, but I appreciated this album. It’s authentically country, but in an accessible way, with rock-and-roll drums and extremely hook-y choruses. There’s no violin or pedal steel here, but lots of guitar. Helping things is that these are all well-constructed songs, too. 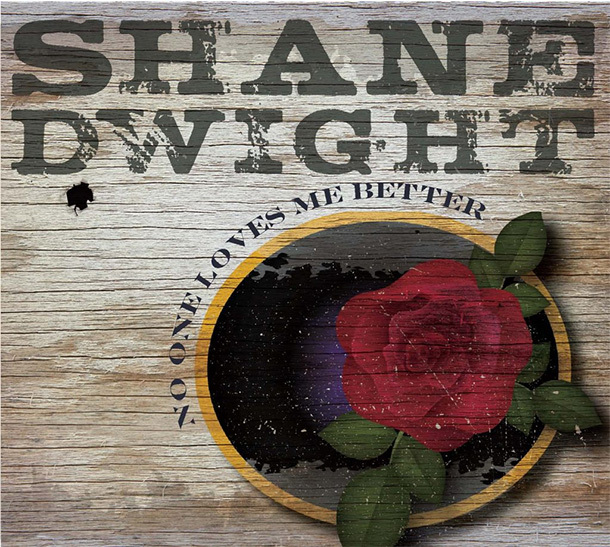 Shane Dwight may be more country than blues, but the album has a rock-and-roll spirit by any name.